BAKERSFIELD – Strathmore is headed to the Division III semifinals for the first time in three years after defeating the Tulare Western Mustangs, 19-8, and a double overtime 12-11 win over Bakersfield Christian propelled the sixth-seeded Spartans to the third round. It was the third time the Spartans (19-9, 6-2) had faced the Eagles (10-4, 8-0) this season. Strathmore had lost both of their previous games, but a lone goal in the second overtime kept the Spartans’ hopes of a valley championship alive. Moses Bower scored six goals in the win. Strathmore’s first win over their East Sequoia League opponent came three days after their biggest opening round win in recent years. Five different Spartans scored as they cruised past the No. 11-seeded Mustangs (12-16, 0-7). Bower lead the way with nine. Owen Patterson had five. “It was nice to get everyone in and involved in the game,” Strathmore head coach Tim Stadtherr said. The Spartans were able to spread out the Mustangs’ defense by passing along the outside. 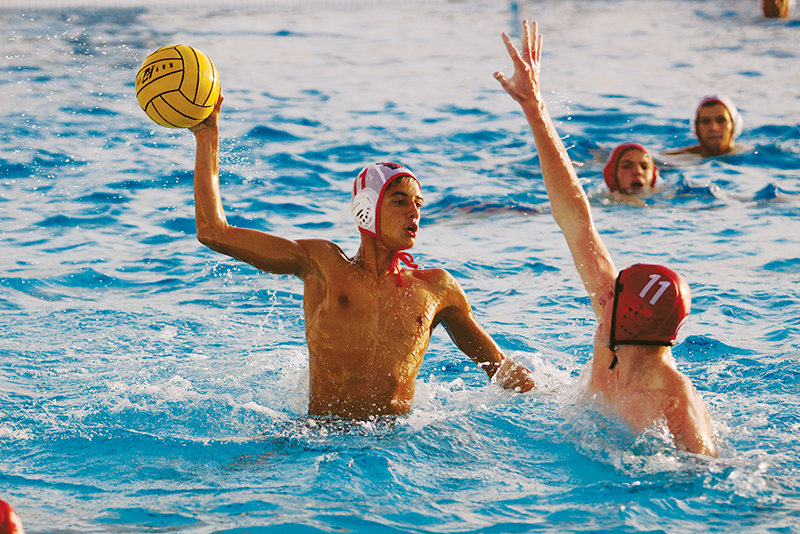 Sometimes they took the ball down to the corner of the pool, and when a defender came out to guard them another Spartan attacker slipped into the void behind the defender. Once with the ball the attacker had an open shot. The game plan seemed to work to perfection, but Stadtherr was still concerned about a couple aspects. Strathmore’s multiple man down situations had him scratching his head before the final whistle. Strathmore was a man down six times including, two two-man down. The Mustangs only scored on one of those situations. If Strathmore has that many man down situations tonight, Nov. 7, against the No. 2-seeded Hanford Bullpups (15-13, 6-4) they might not be so lucky. Game start is slated for 4:30 p.m. at El Diamante High School.